Postcard of Elvis making a healthy Elvis burger. 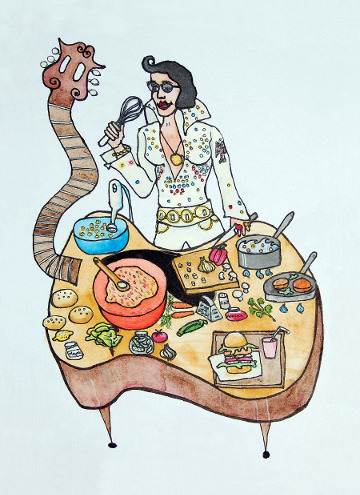 Postcard of a woman dressed as Elvis is making a (veggie) Elvis burger with salad, pickle and real buns. The guituar-shaped table is similar to a table I made.